Paul Keres was an Estonian chess grandmaster, and a renowned chess writer. He was among the world's top players from the mid-1930s to the mid-1960s. 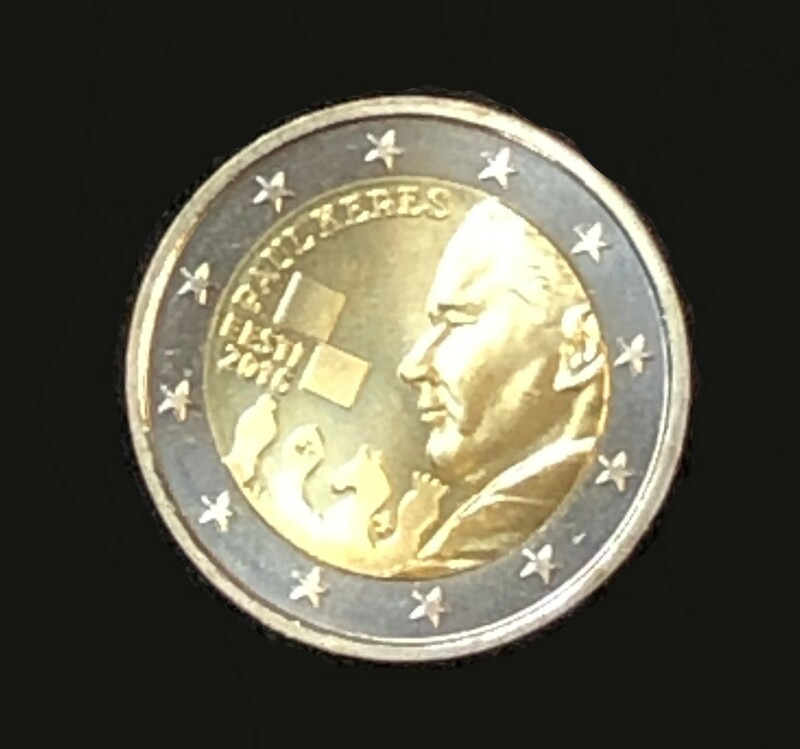 When the Iron Curtain came down in 1992 Estonia immediately printed currency and honored Keres by putting him on their 5 Krooni note. 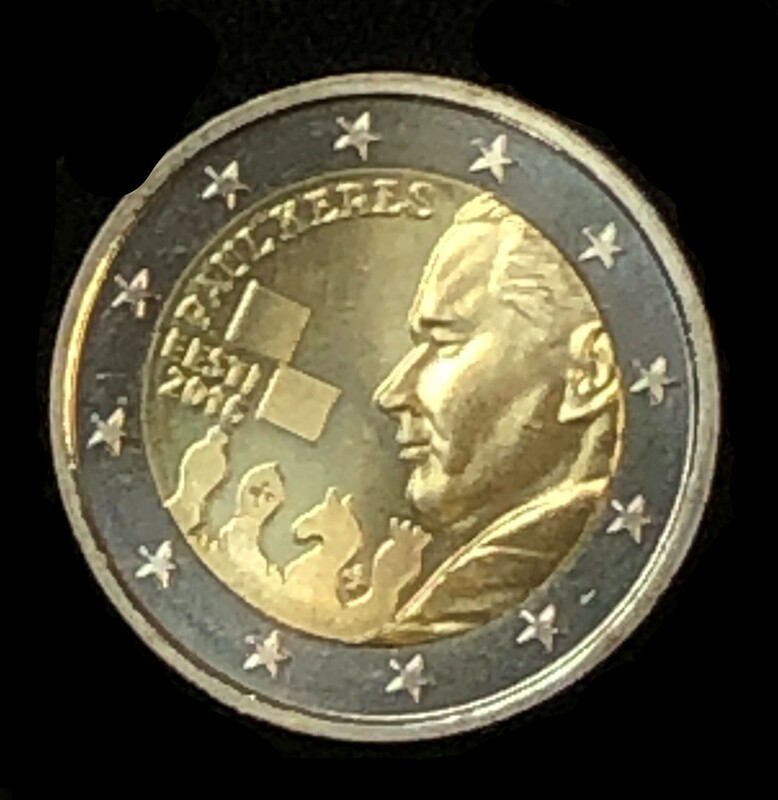 In 2016 The European Union allowed Estonia to Design the 2 Euro coin and they again honored their hero by putting him on the obverse. 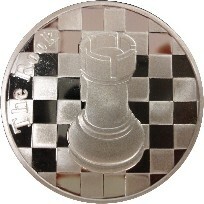 These are the only two instances where a chess player appears on world money. Keres narrowly missed a chance at a world championship match on five occasions. He won the 1938 AVRO tournament, which led to negotiations for a title match against champion Alexander Alekhine, but the match never took place due to World War II. 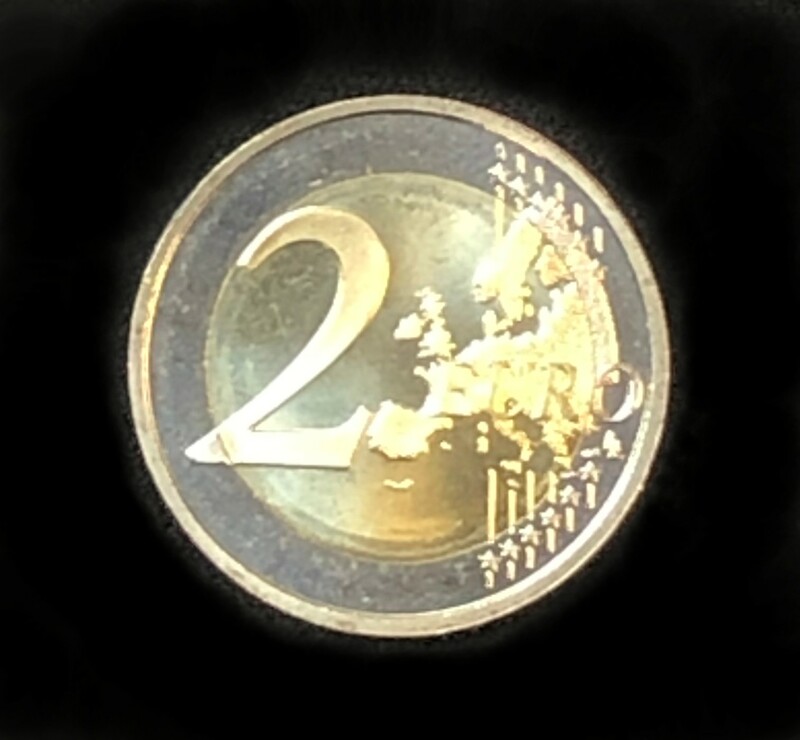 After the war Keres was runner-up in the Candidates' Tournament on four consecutive occasions. Due to these and other strong results, many chess historians consider Keres the strongest player never to become world champion and one of the greatest players in history. He was nicknamed "Paul the Second", "The Eternal Second" and "The Crown Prince of Chess". 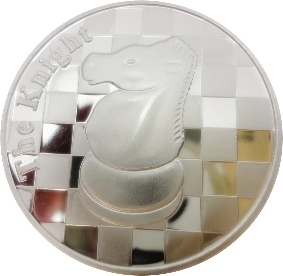 The Rook - 1 Troy Oz .999 Silver Round Chess Coin - 1 9/16" Dia. 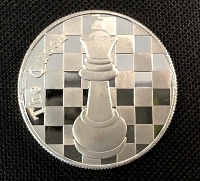 The Queen - 1 Troy Oz .999 Silver Round Chess Coin - 1 9/16" Dia.